Are Australian consumers ready for more international retailers? Waves of new international retailers have arrived on Australian shores in recent years, most commonly establishing flagship stores in the eastern coast cities of Sydney, Melbourne and Brisbane, before expanding their reach further. One major barrier to entry for new retailers has been the lack of suitable sites. The new groups of international retailers to enter the Australian market typically require larger store formats than domestic retailers, and typically multi-level formats that may require redevelopment or improvement works, such as, installing internal escalators and lifts.The search for suitable sites can take up to years for some of these retailers. Shopping centre landlords have used redevelopments and refurbishments as an opportunity to attract new international retailers over the past few years. Recent examples include the redevelopment of the Emporium shopping centre in Melbourne’s Central Business District (CBD) and refurbishment of the nearby GPO building, which both completed in early 2Q14. 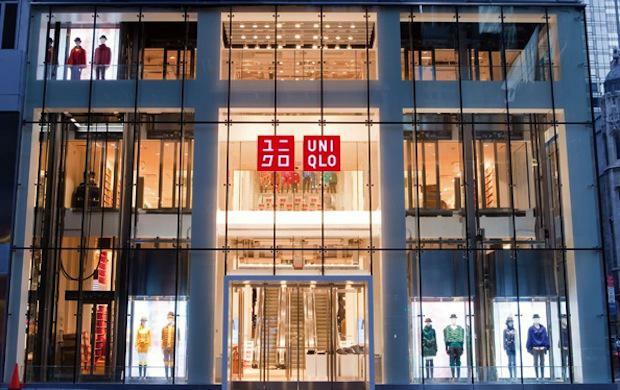 Emporium houses Japanese retailer, Uniqlo’s flagship store in Australia (2,180 sqm over four levels), as well as standalone stores for a number of new international retailers, including Brooks Brothers, Kate Spade and Zoo York. H&M opened its first Australian store (approximately 5,000 sqm) at Melbourne’s GPO building, which underwent a full refurbishment to accommodate the international retailer. In Sydney, Sephora has committed to opening its first Australian store at Westfield Sydney, in a prime location along Pitt Street Mall in the CBD. Sephora is one of the top performing beauty retailer chains globally, as well as one of the fastest growing brands in parent company, Moet Hennessy-Louis Vuitton’s (LVMH) portfolio. LVMH, along with other major retail groups, Richemont, Kering, Prada Group, Labelux, Fast Retailing, Inditex and Hennes & Mauritz, own or manage many retail brands that do not yet have a presence or a standalone store in Australia (some have a presence in department stores). Of the aforementioned retail groups, which own or manage a range of well-known luxury and fast fashion brands, only around 20% of their retail brands (fashion, leather goods, watches and jewellery categories) currently have standalone stores in Australia. This leads to the question, are Australian consumers ready for more of these retailers? The appetite is certainly there. Australians have experienced steady income growth and higher levels of household wealth in recent years, hence would have higher levels of disposable income to spend on discretionary retail. There is also a growing market for luxury retailing in Australia, with inbound international tourists a strong driver of this trend. As more and more Australians travel overseas and/or shop online, we are exposed to a wider range of retail offerings. It could benefit the local market for more of these retailers to have a presence in Australia. International retailers generally draw increased foot traffic to the centres and retail strips they are located in, benefitting neighbouring retailers, and in turn generating increased leasing demand for landlords. Jenny Dong is a Research Analyst for JLL in Australia, based in Sydney.